All The Perks India, B/5 Ground Floor, Maharaja Complex, Nr Vijay Cross Road, Navrangpura, Ahmedabad. 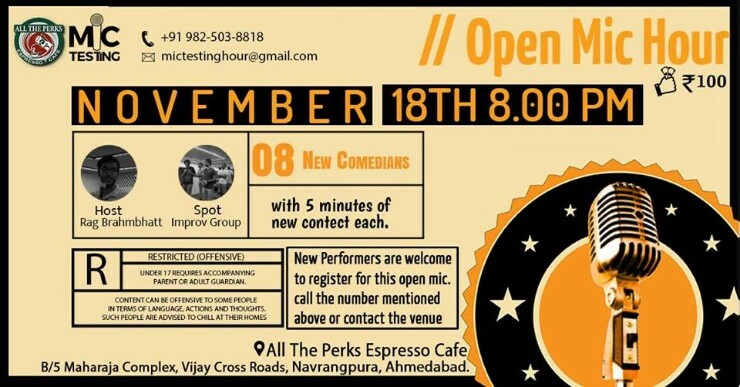 After consecutive succesful shows, they are back with Open Mic Hour at ATP. Join them in a riot full of laughter. You can also register yourself at the venue and take the stage by fire.